Intelligent Coordinated Control of Complex Uncertain Systems for Power Distribution and Network Reliability discusses the important topics revolving around the control of complex uncertain systems using the intelligent coordination control mechanism, a topic that has become the research focus of current control and computer fields. 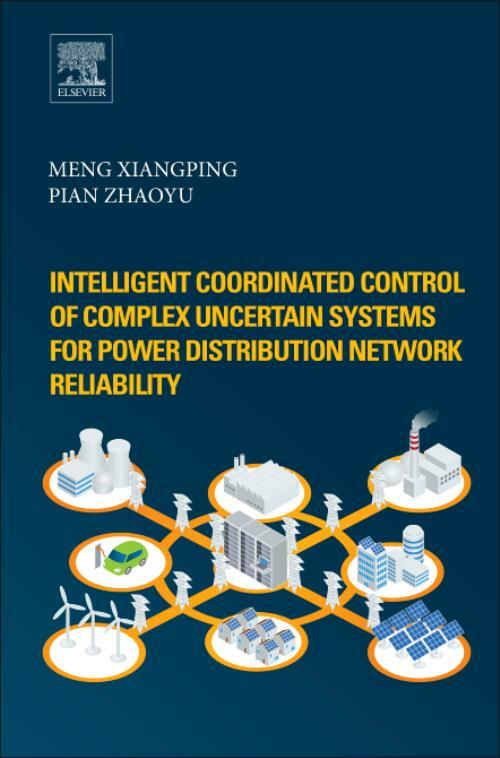 The book provides theoretical guidance for power distribution network reliability analysis, focusing on practical problems and algorithms within the field. Xiangping Meng is a full professor at school of electrical and information engineering, the Changchun Institute of Technology. Also, she is a research professor and director at Jilin province universities distribution automation engineering research center. Her areas of research are intelligent control, power system optimal operation and control, power distribution network reliability control, power system voltage stability, power quality analysis and control. She was elected as the Jilin provincial high-level experts, the Jilin provincial outstanding young scholar, and the Changchun outstanding contributions experts.